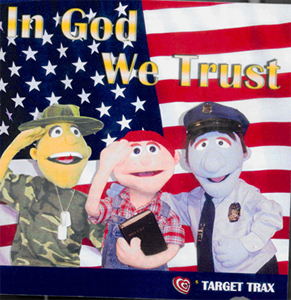 All the songs on "In God We Trust" are American patriotic tunes! They could be performed with puppets or as song performances. Soundtracks are included. The Target Trax CD series features theme-based albums where all the songs have the same theme, preventing the need to buy several CDs to put together a program.